Elaine Hancock (Olney, United States) on 23 December 2013 in Miscellaneous. 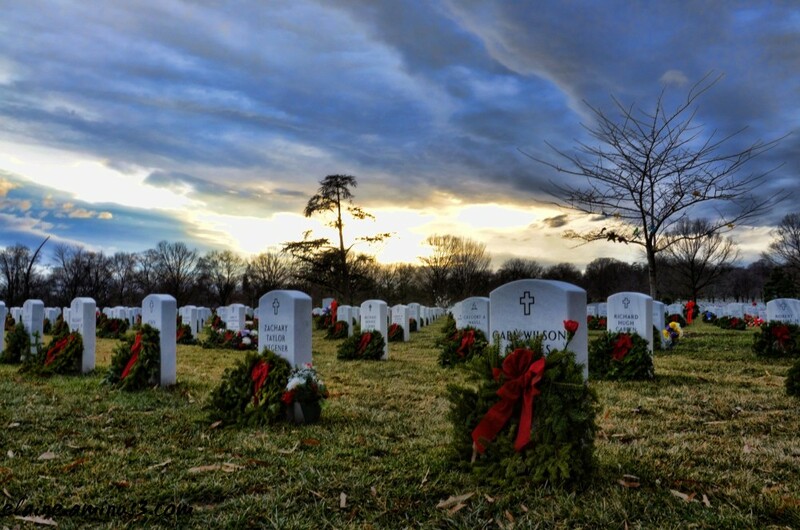 Arlington National Cemetery with Christmas wreaths. Beautiful in a sad way. Helps us remember those who will not be enjoying the holiday. A sad but very special place Elaine, nicely composed. Not to be forgotten . . . a moving moment for sure. A sad scene but as Bruce said, beautiful in a way. Excellent POV and superb sky. Beautiful shot and very moving tribute with this Christmas treatment. SUperbe ciel et très bel hommage!! merci du partage! Such great depth... I'm so drawn and moved to feel! Unforgettable shot Elaine! Amazing and sad at the same. Very good image. An heartfelt memory ! A beautiful tribute! The light creates a proper somber mood. Beautiful special place. nice capture. Très bel hommage et compo avec ces tombes fleuris, superbe compo. Excellent image Elaine! Very somber but festive and a wonderful holiday capture. Very festive and cold at the same time; a wonderful post to remember these souls! Great photo, Elaine, very touching! A beautiful scene to remember those who gave their all for us. A sad but uplifting image. Nice color and good detail as well as a reminder that our Christmas peace and plenty has been paid for by the sacrifices of many. Beautiful touching melancholy, even the light is somber .. superb .. Sad scene. Very well captured. The skies seem to sense the mood.